I think that I have a yellow dial C600. moriarty wrote: I think that I have a yellow dial C600. i'm sure we will. My C8 Mk I is paid for and airborne RMSD. Kip wrote: Apparently there has been some house cleaning going on at CWL Towers and at the factory. No news about the web posting, but the list has been updated in my original post. Many of the ladies models have been removed from my post, as they will be going for less than I originally posted here. Kip wrote: All prices are listed in GBP. Updated list brought forward (to save us all scrolling back); hope you don't mind Kip. I'm surprised to see that none of the C9 Silver face chronos have been taken up. I did get another two watches the orange c60 is the business!! 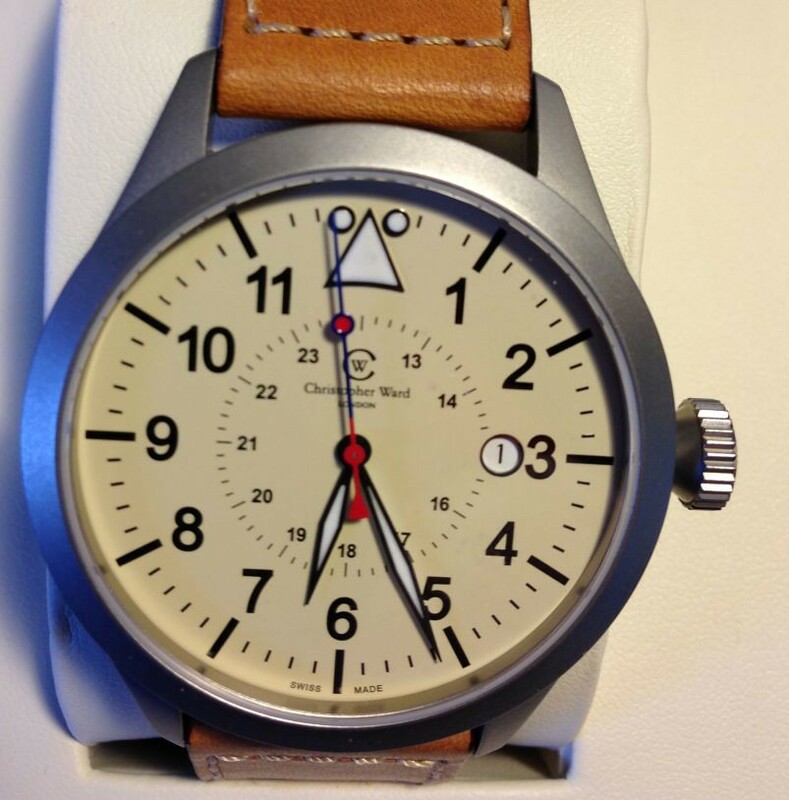 Here is my C8 Mk1 in cream (I asked for the Vintage Tan strap). Congrats Paul! I do like that strap alot. It certainly enhances the C8's. It looks awesome I like the strap! !